Every week is a chance to experience something new and different with the family. Spend an evening out on the town or compete against each other over a round of mini golf, either way time spent with family is always time well spent. Does dad have an old fishing story with grandpa? How about a high school story from mom? Stories are a wonderful way to connect with kids and teach them more about their family. 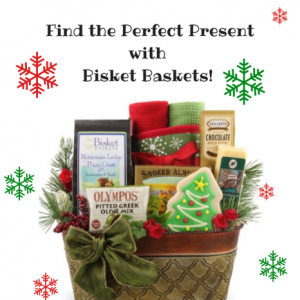 Get the family to work together on a meal together with one of the Bisket Baskets meal gift baskets. 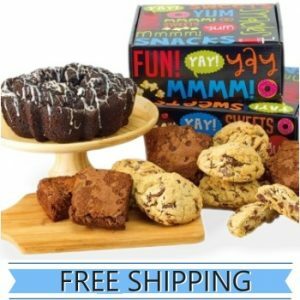 From pizza pies to chili fixings, you can browse through our many meal gift baskets to find the perfect meal to prepare with your family. With mom and dad hard at work and kids playing video games or reading their books, it can be difficult to plan family time. 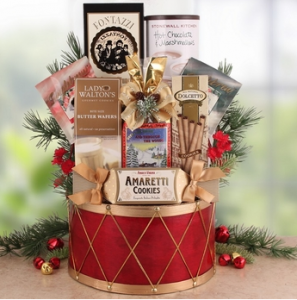 Spending quality time with your family is as easy as making an Italian themed meal with one of our meal gift baskets. 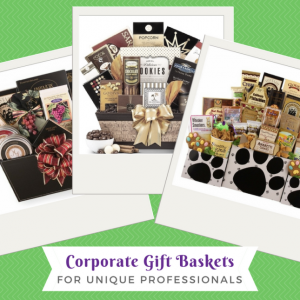 Shop our meal gift baskets for holiday, birthday, or family celebrations. Everyone loves a nice glass of wine after work, so this basket makes sure that they have plenty of snacks to pair it with! The Wine Country Christmas gift has cheese spread, caviar, crackers, and drink mixes. When they open this gift, they’ll be racing home to pop open their favorite bottle. Everyone loves a good selection of gourmet treats to enjoy, so this basket is great for both experienced and novice foodies. The First Class Gourmet Gift has everything from sweet, to salty, to savory snacks to satisfy every taste bud. For the co-worker who can’t wait to spend time with their family, the Grand Christmas Basket will be a welcome addition. This basket is packed with cheese, crackers, teas, cookies, and more that are perfect for sharing. 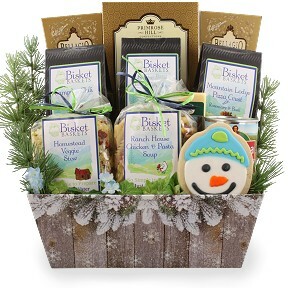 There are plenty more holiday gourmet food baskets to choose from at BisketBaskets.com! 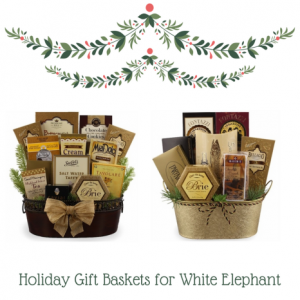 Shop now to find your White Elephant gift early. It’s a unique gift. 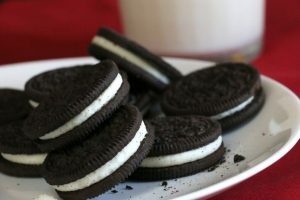 What do you normally get your friends or coworkers? A gift card? A trinket? While these might seem like great gifts, the novelty quickly fades. 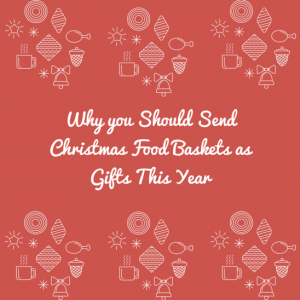 A food gift basket is a unique take on a traditional gift basket that will leave them speechless. Plus, it will have a meal or two covered during the busiest time of year. It saves you time. Gift shopping can take hours. Not to mention all the time it takes to nicely wrap that gift once you’ve found it. When ordering one of our food baskets, it will arrive fresh and perfectly wrapped. They’ll think you spent tons of time assembling and wrapping when it only took a few clicks of your mouse. It’s completely personalized. Bisket Baskets has tons of baskets that fit a variety of recipients. Or, if you really don’t see what will be best for your recipient, build your own and we’ll assemble and wrap it for you. Plus, you can leave a hand written note wishing your recipient well for the holidays. Check out all of our Christmas food baskets today and get some of your friends, co-workers, and even a family member or two crossed off of your list! What has two bottles of wine, tons of gourmet goodies, and is wrapped up in a big chest? Our International Wine & Gourmet Chest! This chest has two bottles of rich red wine, crackers, cheeses, smoked salmon, and salami for a delicious cocktail hour. It also has plenty of sweet treats for after, like toffee bites, citrus gems, and caramels. All of these snacks pair perfectly with the bottles and are gift wrapped and ready, making it an effortless gift for you to plan. The Wine and Gourmet Extravagance gift is a beautiful, yet simple gift that any wine lover will appreciate. This basket has two bottles of red wine, caviar, smoked salmon, crackers, cheese spread, cookies, mixed nuts, and plenty of other extravagant goodies. All of this has been wrapped up in a faux leather container that can be reused by your recipient. Plus, all of these wine lover gifts are made into a basket at the time you place your order, ensuring they are fresh. This is a great gift for those that are new to wine pairing and gourmet foods. These simplistic wine lover gifts are perfect for birthdays, anniversaries, thank you gifts, weddings, and so much more. 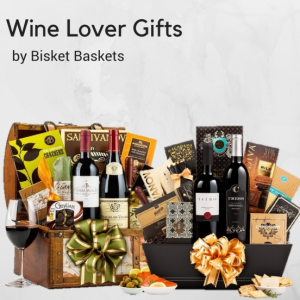 There are plenty of other wine gift baskets at BisketBaskets.com for you to choose from. Regardless of how much your recipient knows about wine, these baskets are sure to add to the occasion. Shop now and get your wine glasses ready!